INDUSTRY.co.id - Jakarta - Minister of Energy and Mineral Resources Ignasius Jonan optimizes the use of local energy (wind, water, coal and solar) as primary energy for power generation to be more effective and efficient. Jonan explained that the government continues to encourage PT PLN (Persero) to optimize the use of New and Renewable Energy (EBT) by considering the price efficiency and maintaining the supply and demand balance and the state of readiness of the plant. Indication of plant site selection is also important. That way, the development of indirect generating capacity will pay attention to the availability of local primary energy. Especially for the development of solar power, the government has encouraged the development of energy by making regulations. In PLN's (PLN) Power Supply Plan (RUPTL), the target of solar energy usage in Indonesia reaches 1047 MegaWattpeak (MWp) up to 2025. Up to 2018, solar energy utilization through Solar Power Plant (PLTS) is 94 , 42 MWp. 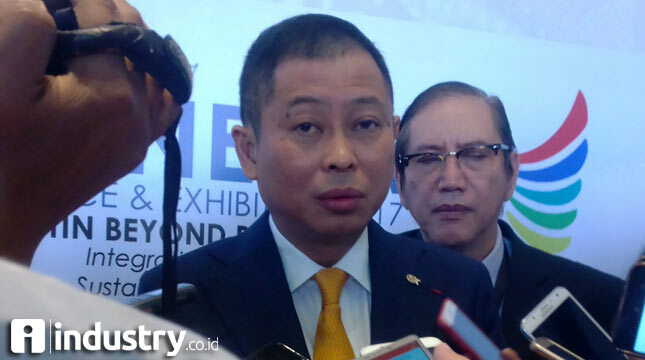 Director of Planning and Development of New Renewable Energy Infrastructure and Energy Conservation (EBTKE) ESDM Ministry M. Arifin told media crew that the utilization of solar energy in Indonesia is still very small from the total potential of solar energy available in Indonesia. In addition, Arifin expressed other challenges in the development of solar energy generation, among them PLTS for off grid systems require more reliable power storage technology, while for on grid systems required backup of the plant. Furthermore, PLTS cannot be transported, as well as the lack of Human Resource (SDM) capability in the mastery of PLTS technology. Arifin further explained that the Ministry of ESDM especially through DG EBTKE has made various efforts to overcome these challenges by making regulations related to the utilization of renewable energy sources for commercial and non commercial power plants. "ESDM in particular Directorate General of EBTKE facilitates the formation of a multi-roof solar roundabout movement, the formation of a joint team to overcome funding problems comprised of the Directorate General of EBTKE, Ministry of Finance, OJK, PLN, meeting with solar energy business actors for the drafting of the roof" Arifin. Andika Solar Energy Association of Indonesia (AESI) that his side with DG EBTKE is proclaiming one million roofs until 2025. "If converted it is about 1000 MW or 1 GW This is a big number but it is not impossible to achieve because the number of PLN subscribers in Java is also quite large, and if there is a regulation or regulation that will make it easier for PLN customers installing photovoltaics on the roof of each building, so that the target to reach the target 1000 MW in 2025 God willing can be achieved, "said Andika.